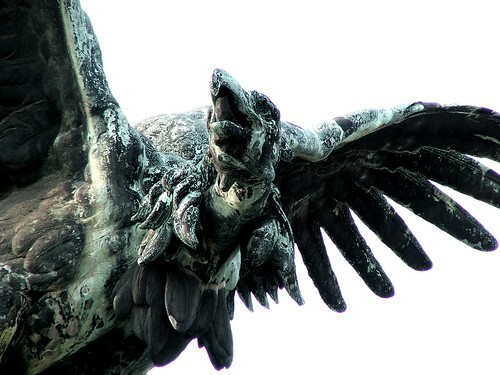 The Turul bird statue in Buda Castle. Created in 1905 by Donáth Gyula. The statue overlooks the Chain Bridge on the Danube.